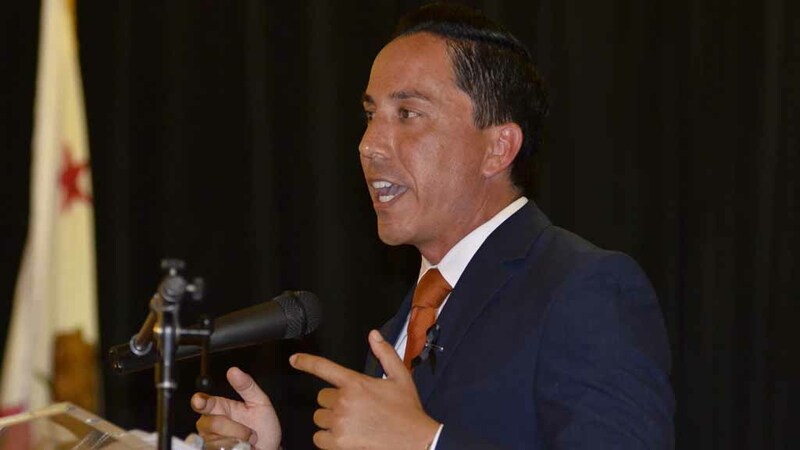 A bill by San Diego Assemblymember Todd Gloria that requires disclosure of large contributions to local ballot-measure campaigns was signed into law Friday by Gov. Jerry Brown. The legislation arose out of Gloria’s experience with two local initiatives — San Diego’s Minimum Wage and Earned Sick Leave Ordinance and the Barrio Logan Community Plan — that were defeated by voters after significant spending by opponents. “I am elated that Gov. Brown chose to sign AB 187 today, and I want to thank him for adding this layer of voter protection to ensure cases like those experienced in San Diego are not replicated elsewhere in California,” said Gloria, a Democrat who represents the 78th District. “With this bill becoming law in 2018, it is my hope that voters will feel more confident, empowered and informed when they are approached by paid signature gatherers and when they step into the voter’s booth knowing that they are not being willfully deceived by special interests,” he added. AB 187 , which Gloria labeled the “Public’s Right to Know Act,” mandates that political committees formed to support multiple state candidates or ballot measures must disclose each contribution of $5,000 or more in support of or opposition to local initiatives and referendums. Under current state law, disclosures are only required for state ballot measures. AB 187 adds local measures to that requirement. AB 187 was the first piece of legislation introduced by Gloria following his election in December 2016.